We completed the surface and paint on this Dino 246 GT a while back… about a year and a half ago. We re-surfaced and painted it in a gorgeous Grigio Ferro. 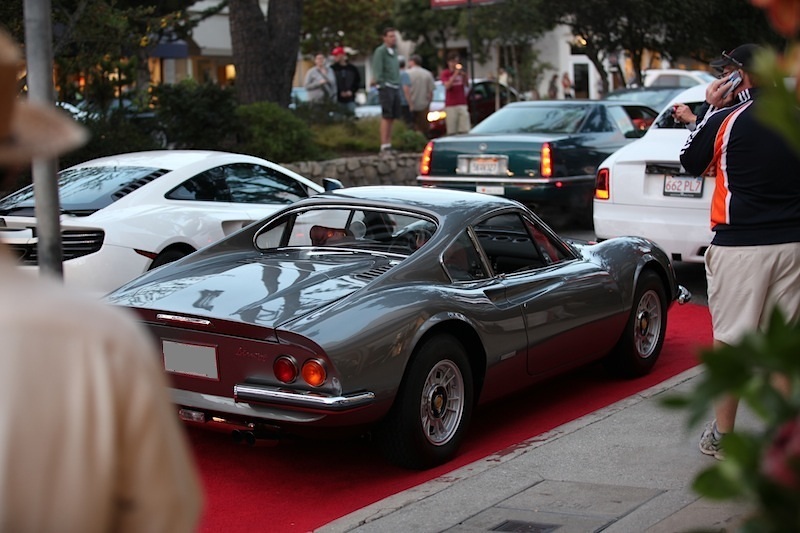 It’s really a head turner as you can see by the red carpet treatment it received somewhere up in Monterey during the Pebble Beach Concours d’Elegance in August. It was also awarded Best of Show at the 2012 San Diego Bella Italia. The 600 hours of prep, surfacing and painting really shine through. Thanks to Tom K for the great photos of his Dino. Well done! Always a pleasure to work with you.